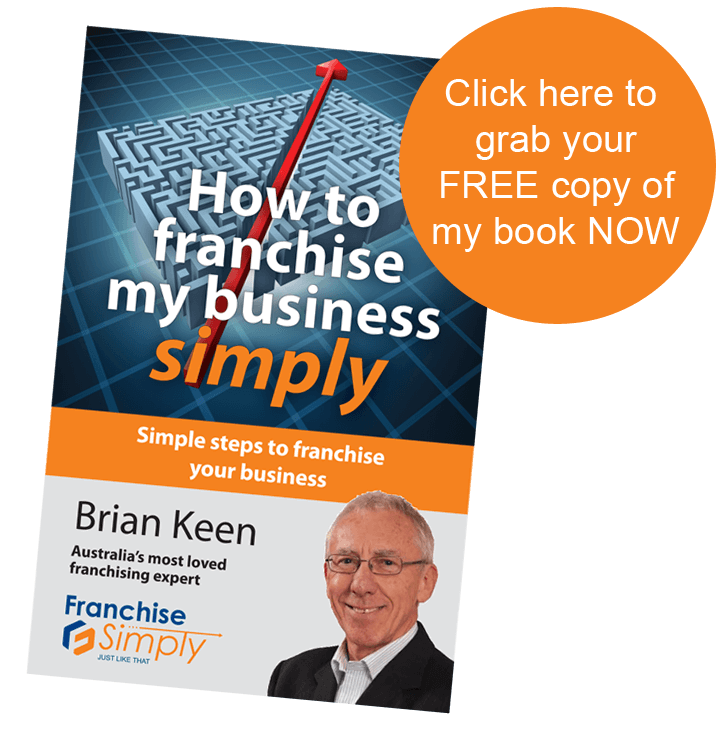 How To Franchise My Business! Since you’re here, you’ve probably heard the story of how I started and grew six new franchise businesses with over 120 outlets over a five year period. Over the last three decades I have also helped dozens of businesses franchise successfully, increasing their profits and allowing their owners to work fewer hours and get their lives back. After 20 years in the building industry, I discovered an opportunity which changed my life and which I’d like to share with you to show you how you can change your life. In the early ‘80s in Western Australia, the building industry was very depressed with interest rates over 20% and real estate values falling. So I decided to shut down my building and development company and look for another business. As a business owner I was skeptical of the value of franchising – why pay someone else a percentage of what I could earn and otherwise keep for myself. But my business broker showed me some excellent figures for a business he didn’t admit at first was a franchise. Well the results were so good I bought the business anyway! As a pioneering franchisee in Bedshed, then a new retail bedding group, I successfully operated seven stores in five years and discovered two benefits in franchising I hadn’t expected. Firstly I made even higher profits – as much as 25% above our competitors. And secondly, I discovered the value of camaraderie – sharing creative learnings with other franchisees created a fantastic and stimulating environment for business growth. It didn’t take me long to realize I wanted to be involved with creating franchises for myself. So I opened a franchise consultancy, ‘The Franchise Alliance’ which soon had franchised offices in five States andNew Zealandand which continues to operate successfully today. We worked with dozens and dozens of franchises such as Brumbys, Jim’s Mowing, Donut King, Expense Reduction Analysts and Ultra Tune, developing franchise chains across Australia and internationally, helping all parties to come to grips with running this exciting form of business. But we weren’t like normal consultants because, along the way, as well as helping clients convert their business to a franchise and selling their franchise outlets for them, we learned that franchising need not be as difficult or as expensive as it often seems. So we also developed several of our own franchise groups. In fact we started and grew six new franchise groups and in five years expanded them to over 120 outlets. One of the critical things we realized was that franchising is not just about the product. There are other very critical areas which need to be worked on first in order to bring about some necessary changes. So what is the key to successfully developing a franchise cost effectively, simply and successfully? I’ve am delivering this information in lots of different ways. You can opt to be trained over the internet through our soon to be completed membership site with weekly detailed e-classes. We will be running to deliver introductory material and more detailed specialist information. We have easy to use templates for each step and you can access our experienced business coaches or franchise mentors. I and the business coaches and franchise mentors are available for one-on one discussion. Each information pack or event is packed with details of absolutely everything I do when I am involved in developing a franchise system – the structures I use, the steps I follow and the secret ingredients that other franchise consultants don’t know about.